Egypt, Alexandria, Egyptian National Museum, Nazlet el Samman, Abu Rowash, Giza, Abu Garab, Abu Sir, Saqqara, Dashur, Meidun, Abu Simbel, Karnak, Luxor, Medinet Habu, Valley of the Kings, Temple of Hathor, Dendera, Temple of Hatshepsut, Valley of the Kings, Temple of Horus, Edfu, Temple of Khum, Esna, Temple of Isis, Isle of Philae, Temple of Khnum, Elephantine Island, Temple of Seti, Abydos, Temple of Amada, Lake Nasser, Temple, Wadi El Saboua, Temple Sobek, Kom Ombo, Aswan, El Karga Oasis, El Bagawat, Qasr El Labeka, Napta Playa. The date of the building of the pyramids is questionable: the standard age given is approximately 2,500 BC. There are 22 pyramids running N to S, parallel to the Nile, which has migrated more than 8km further away to the east, in this area known as the ‘Band of Peace’. It is interesting to note that one can see each site from the one next to it. The positioning of these monuments is mirrored in the star positions. Abu Rowash: here is an open pyramid inside a mountain, largely ignored by tourism, showing tooling marks and evidence of burning. Giza: there has been at least 3,000 years of civilisation at this site. The pyramids are not tombs, evident from the fact that they have no art and no mummies were found inside. The three great pyramids align with the sun-rise and sun-set and there is possibly a yet-to-be-discovered underground pyramid. These great monuments are built of limestone and granite and there are polished quartz floors and red granite pillars from Aswan in the Valley Temple. The Sphinx shows obvious evidence of water erosion from an age in antiquity and was aligned to the constellation Leo when it rose above the horizon. Abu Garab: there are nine huge, tooled quartz crystal basins here, gathered and moved into one place by the Department of Antiquities. Also, a large circular altar – the only remnant of the important temple that once stood here. Abu Sir: Initiations of priestesses took place here and there is plain evidence of the old course of the Nile and a causeway for boats. *Sirius sank below the horizon for 70 days while the sun moved from Sirius to Orion across the Milky Way, mirrored in Heliopolis (Horus) Giza (Osiris) and the Nile (Isis). These 6 pyramids relate to Pleiades. The King would have moved from site to site to perform rituals. Saqqara: here there are quartz crystal mines nearby. The courtyard is older than the pyramid, in this case a tomb. The temples and chambers around the courtyard were used for sound healing, using underground water cavities. Dashur (Red Pyramid, ‘Bent’ Pyramid and the ‘Unfinished’ Pyramid) These three pyramids each have three chambers, all used for sound healing (harmonic resonance chambers)…and ‘Snefru’ was not a man – ‘seneferu’ means ‘double harmony’. Maidun and Giza both show evidence of an explosion, with huge cracks and chemical burns. There is still so much to study, but is Egypt’s Ministry of Culture erasing evidence in its ‘restoration’ work? It is evident now that Herodotus, the Greek historian, made wrong statements. We need to understand it all from the minds of the time, not through our limitations. Egypt has a different time frame to accepted history. Part 2 – High Level Technology. Giza is a World Heritage Site, but the Ministry of Culture has built a 20 mile long and 14 foot high wall around the site – why? It has 100 armed guards at night and many researchers are now refused permits, and tourists refused the use of cameras. Strange scientific technologies have been seen in the ancient art – aircraft, light bulbs, the ‘Baghdad Battery’ and machine tooling, high (impossible) technology in construction, astronomic knowledge, a science of natural telemic energy etc give us cause to wonder at the achievements of these ancient people. Architecture and rituals followed natural cycles of Earth, Moon, Sun and Stars, and the ebb and flood of the Nile. The pyramid texts, hieroglyphs and symbolism in art all have different levels of meaning – both obvious and occult. At Napta Playa, Gilf Kabir and El Kargo Oasis, hundreds of km out in the western desert, there is evidence of early advanced civilisation: a fertile valley, an ancient acacia tree, oceanic fossils, now-empty lake basins, cow and bull worship (Cosmic Mother in Age of Taurus? ), even an early Roman monastery; rock art (the famous ‘swimmers’), clues of trade with Pharonic kingdoms, the old Nile riverbed (then, 60 km west of its present position) and astronomy – megalithic stones aligned to constellations, depicting the Precession of Equinoxes. There are no roads and it is now just desert. The monoliths at Napta Playa were man-made and even demonstrate the movement of constellations over time. Altars have been found underground showing three time levels of culture. When and how did the Dogon and Khemites share their knowledge? Humans have peace, prosperity, spirit and knowledge when connected to Nature. The older matriarchal cultures were balanced and harmonic. The patriarchal cultures were ambitious, contentious and aggressive. 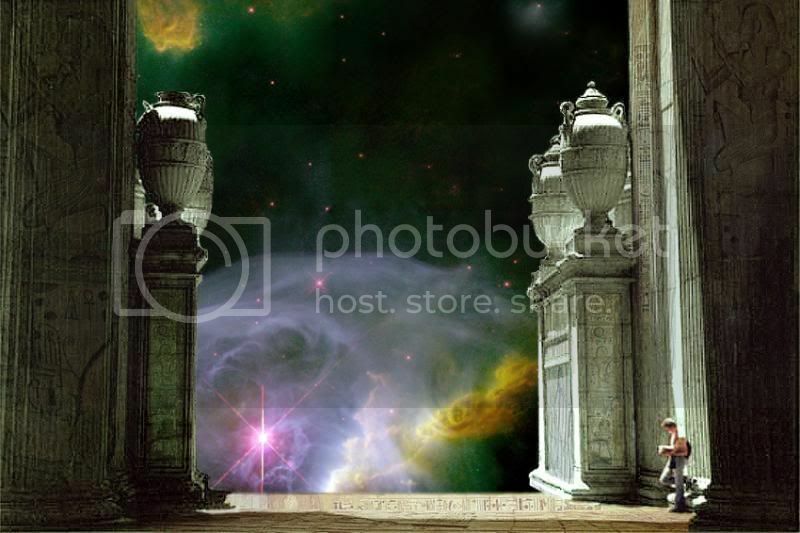 When entering a Temple, the initiate had to know how to leave the lower ego behind, while he connected to the divine cosmic energies. Health in the glands and chakras were paramount. Their symbols in art all depicted the male and female aspects in ritual. The half-human and half animal figures show their shamanic culture and may have used psychotropic plants. Thus the 360 senses (multi-dimensional) were used. With this super-natural practice, they had immense knowledge and power. They used the ‘weighing of the heart’ analogy to teach people to live well, but in later times the Amun priesthood broke the law by selling favours to enter ‘heaven’ and people could avoid the ‘weighing of the heart’ (as did the Christian priesthood through the Dark Ages). Times changed and Akhenaton and Nefertiti brought in a new age of ‘Atonism’, or Sun worship, bringing Amun-Ra centre stage. He was a renegade pharaoh and for twelve years his ideals seemed perfect, but something happened (Nefertiti left the scene) and he turned into a tyrannical dictator. Tutankhamun tried to return to the old Amun ways, but too late. The Atonists went underground. Hatshepsut, a widowed queen, also broke the rules and became a successful pharaoh for twenty-two years, but had to give up her ‘woman-ness’. Later still, the Amun Priesthood took tighter and tighter control and banned any reference to Akhenaton, Nefertiti, Tutankhamun or Hatshepsut. Part 5 – A New Chronology. This entry was posted in Uncategorized and tagged Abdul Hakim Awyan, Abu Garab, Abu Rowash, Abu Simbel, Abu Sir, Abydos, Alexandria, Aswan, Claude Swanson, Dashur, Dendera, Edfu, Egypt, El Bagawat, El Kargo Oasis, el Labeka, Elephantine Island, Esna, Giza, Graham Hancock, Isle of Philae, John Anthony West, John Burke, John Dering, Karnak, Kom Ombo, Laird Scranton, Lake Nasser, Luxor, Maidun, Medinet Habu, Napta Playa, Nazlet el Samman, Nicole Douek, Qasr, Robert Bauval, Robert Schoch, Saqqara, Temple of Amada, Temple of Hathor, Temple of Hatshepsut. Temple of Horus, Temple of Isis, Temple of Khnum, Temple of Khum, Temple of Seti, Temple Sobek, The Pyramid Code; Carmen Boulter, Thomas Brophy, Valley of the Kings, Wadi el Saboua, Walter Cruttenden. Bookmark the permalink. These truths spoken about by Abd’el Hakim Awyan are indeed returning to mankind, albeit slower than we all would like. However, the cosmic cycle must complete itself. It is my contention that we are currently going through an evolution in human consciousness. We are seeing before our very eyes the collapse of current or “past systems of living, thought patterns and old modes of behavior” with one that is more “loving and spiritually based”. The current system is focused on economic based and money driven ways of thinking with structures designed to perpetuate the same outcomes. That is… more of something, generally money, production and consumption. These structures may well have once appeared strong in “economic terms” and in the minds of those involved with their existence. However, they are now being seen for what they really are. That is, a figment of our imaginations made manifest by the simple belief in them and our actions taken to perpetuate them. I contend that we are indeed at a cross roads in terms of personal human civilization and evolution in terms of spiritual consciousness. The current economic collapse is not repairable unless we are to enslave ourselves as people to the banks; by taking up the MASSIVE loans taken out by Governments around the world in a last ditch effort to save the “global economy”. It is similar flawed thinking patterns that arise from money, its’ effective generation and he manipulation by a corrupt system used to operate it and which has permeated right from the roots to the very tips of our societies. If we continue to follow the past ways of civilization and growth, as to what to do to maintain current ways of living and false ideas of the way the things are today and have been and the way things could be, we will retard our growth as an evolutionary species and the human potential. This will have disastrous effects upon all life on the planet. Politicians and economic advisors do not know what to do to avert the collapse and so they continue in economic terms only. Markets appear to be out of control and are more and more unpredictable using standard Keynesian economic understanding. I contend that not only is there a way forward for mankind, but that we are on the verge of a NEW DAWN for mankind. I believe there is real reason for eternal optimism. That if we begin to think as a global entity and realize we are indeed connected, as one, with a force that resonates through infinity and through everything one can perceive or not we can bring about a never ever imagined period of prosperity for ALL. At this juncture in time, mankind (and indeed each person) has a choice to either change many currently held modes of behavior and current thinking patterns of separateness or to continue with “progress” down the same path of conflict and non-resolution. Separate in terms of feeling alone, not at peace, lost, abandoned. Most on the planet have lost sight of those things truly important. They may have a dream, but many do not believe they could ever achieve it. I believe it is time to pool resources on a global scale and agree to put aside our differences and work on healing self, the environment and all that is. I believe there is a way to a new way of seeing the world and everything. Some blame others for their own seeming problems rather than taking responsibility for themselves. It is these ostensible problems that indeed allow for the opportunity of growth on many levels, simultaneously. Large numbers of people around the world are at a point in their lives where they have no alternative but to turn to the spiritual. The spiritual awakening that is gathering momentum in the world today will lead to a new age of creativity. Existing problems will be solved by the application of mans imaginative mind through “creativity” and its application in the world to solve problems holistically. There are many treasure carried away from that great land….Writings and drawings are being destroyed ……Priceless artifacts are being stolen hand over fist from uncaring individuals that find them and sale them on the black market..These priceless artifacts are gone forever . It’s not only the history of Egypt but of all man kind……..
Mark’s comments ring of a profound insight and truth. My only concern and fear is that the spiritual transformation is not happening fast enough to avert an inevitable world catacalysim that will propell the human race back into a dark age of spiritual degradation and stagnation. We must keep going in the right direction then, Ab. I believe that the ‘sound’ that Hakim talks about is what we may call ‘vibration’. Healers work with subtle vibrations and the healers can sense the disharmony within the sick person. In many healing temples there is underground water flowing and somehow they used this and the acoustics of the temple to amplify the vibrations. One has to imagine a world without electric static and interference and no mechanical sounds like traffic. Sadly our ears have become deaf to these vibrations. I feel that we can learn to hear again if we spend more time in Nature and silent meditation. Look for info on cymatics http://youtu.be/9oSePXRbW9o Temples were built in already sacred places, where the natural energies were strong, especially underground water. Many shaman use drums, and chanting and toning is effective. Studies have been done at sacred sites where a ‘standing wave’ has been created, and measured, using simple percussion and this ‘wave’ has the effect of altering brain wave levels to allow the psychic senses to open, and visions and higher wisdom can be received. Nature does this naturally in certain places that people then called ‘sacred’. The stone used to build a temple enhanced this phenomena and certain stones containing quartz ‘hold’ the vibration like a memory, making the temple ‘holy’ so that the person inside can communicate with the ‘Divine’. There are many practices done all round the world to learn how to do this, but I have found it can happen quite naturally by being in Nature especially near moving water. The way to receive these vibrations is to surrender to them (totally relax mind and body) and for the healer it is important to have a high level of empathy and compassion. Trying hard and thinking too much doesn’t work – it’s exactly the opposite! Any questions, just ask. I am humbled by the wisdom of this Master Teacher. I recognize indeed! Thanks Arthur, this one is interesting too – time for FreeEnergy! Yes, Avia. The Pyramids are evidence of what is possible. The Book of the Witness, possibly one of two witnesses, may still be within the Great Pyramid. The Great Pyramid itself may even be the book. Who may say ? History has be re-written and evidence altered and destroyed. Even the head of the great Sphinx has been re-shaped into an apparent Hero of Moab son of Ariel. Water-fuel and water implosion technologies such as The Great Pyramid provide many solutions. Duncan does not/did not believe these will ever see the light of day again, however, among billions surely millions still use these types of technology. Carbon arc rod plasma generation is simple, elegant, and almost anyone may begin generating fuel immediately. This is part of the tangible, temporal legacy of the Great Pyramid. The Pyramids are instruction manuals and have immediate practical applications. Hi Avia ! I sent an Online Commo Check origin SAR RTO CAP USAF AUX. Perhaps I’ll here back and get some plans. Hakim began this avenue for me by explaining the tree energy generating and water purification proposes of the Great Pyramid. The ancient bilders were not creator G_d or perfect– evidence of OVER-CUTS in megalithic stone is evidence. They were not perfect. However, implosion is so much better than explosion and the Pyramid was a generator manifesting Dielectric. It is an acorn of Counter Space evidence of a mighty EM/EMF/CME Sol planet-fall and cosmic wind oak tree. Yet, simple HHO is another beginning for me. Thank you. Hakim is a genius ! You have to clean your mind to know this. Hi Ava thank for the info on you tube. It has enlightened me and my daughter even more, we have even started doing vortex maths which may help her understanding of the maths system and more, this has even given me insight to what I need for my Eco project on a housing development I am currently researching, I am a architectural designer. As my nine year old is home educated, we are looking to do an educational trip to Egypt to enlighten our knowledge more sometime this year, can you send us information on who we can get in contact with, to show us around and tell us the truth of ancients. Keep up the good work Ava and speak to you soon. I was taken in by this “man” to the point of trust…something so rare these days…but yet…on the “Pyramid Code” I was so obsorbed by him, that I almost lost sight of the shows jist? I would rewind, just to “listen” so as not to miss…and then fast forward to his next showing…I am now older in years and yet still a babe in wisdom…I see that more often than not nowadays…wish I had had a slower “youth”…with more time taken chasing wisdom instead of skirts…I am a disabled Vet with a new computer…I went on line to see if there was anything else this “teacher” could learn me…and here I am at the “end” of the most delightful websights I’ve ever been on… Thank You, Ladies and Gentlemen for the “enlightenment”…. I will look back in again, soon…as my journey for wisdom and fun goes on…..Thanx again…. Thank you for your comment Donald – you’ve made my day! So glad Hakim and you have found each other – he is very special isn’t he? (R.I.P) I wish you well in your adentures of discovery. I wish he’d have written a book that we could all learn from…instead of contemporaries like Zahi Hawass who writes a self-centered book and charges 22,000LE for it. I understand that his (Hakim’s) daughter has taken up the mantle. Perhaps she can be contacted for more information? One of the questions that Hakim did not answer when asked (he went around the subject) was: “How were the pyramids built?” he seemed to know enough about it to know they didn’t use ropes, slaves, and animals. John Cadman has an interesting theory. He has discovered that the sub-chamber in the great pyramid is part of a water ram pump. He has built a functioning model and you can see his progress on Youtube. He states that the pyramids were built using the ram pump. Using wooden rafts and filling basins within the pyramid (as it is being built) one could effortlessly push a 200 ton stone into place. My only argument is that when humans build tools to construct a ‘thing’ the tool is then dismantled and the structure is free and clear. The fact that this pump remains suggests it was used for a purpose after construction was completed. The King’s chamber has a series of elevated platforms which main stream archeology says are simply fortification structures. However, the Queen’s chamber demonstrates that there is no need for so many fortification stones. It has been determined that the King’s chamber resonates at a specific frequency. This has been discussed in the show The Pyramid Code. The show also touches on the use of the underwater aquifers to generate electricity, etc. With John Cadman’s ram pump theory, it now suggests that the water pump creates a ‘thumping’ or frequency that even John says is designed to be radiated upwards towards the Queens chamber. The Queen’s chamber is directly below the King’s chamber. Now, adding all this together, suggests that the frequency would be amplified by the King’s chamber to be transmitted to…where and to what? That is the next-level mystery to be solved. I think we have determined what the Pyramids are, now we need to know how they were used. If you add this to Joe Parr’s theory of Pyramid Power, then a few ideas about how they might have been used comes into focus. Joe believed that Pyramid structures amply certain things. It can charge seeds to make them grow faster, stronger, and yield more crops without the use of genetic modification. It can be used to heal the body. The diagram for how pyramids use “energy” is not unlike how humans channel energy. When in seated meditation energy spirals from the air down into your head. Conversely, energy spirals from the ground and into your body. The Pyramids did the same. There is a sarcophagus in the King’s chamber. I wonder if it is meant as a charging chamber. You place items to be charged and turn the pyramid “on.” Believe it or not, you can easily make an on/off switch as demonstrated by John Cadman on his pump. It only takes a flip of the release valve to start the pumping action. It simply works on physics. 1) In order to ramble on about the things he did, he would have had to read every known book, written about every known subject from every known language and do so in the span of 3 to 4 years. Being that he came from a poor family, I seriously doubt it. 2) Most frauds do so for profit. Edgar did NOT charge for his services but did receive donations from his patrons. Profitability didn’t occur until years after his death. 3) People quibble over a few of his “world event” predictions because some were slightly off, or too vague and coincidental. But NO ONE argues his medical predictions of which he was 100% accurate on. 1) Atlantis suffered 3 major catastrophes, and each time some or all of the inhabitants escaped to other parts of the word. 2) The third and final catastrophe destroyed the island and the survivors fled to Egypt. Now, let’s start adding up a few things. Plato said the information about Atlantis came from an “Egyptian priest”. That is another tie-in suggesting Atlanteans made it to Egypt. Also, the fact that other pyramids and monolithic structures exist that use similar technology is explained if one believes that Atlanteans fled to other countries and taught them such secrets. In other words, it’s a better and more plausible way to explain this rather than “Ancient Astronaut Theory” 😉 . Another, is that a record of the history of Atlantis exists in Egypt under the Sphinx; that the Sphinx was erected to be the guardian of that knowledge. Now, from my experience and research, I believe those caverns are there. The only reason we ‘think’ they are not there…is because of Zahi Hawass. If we take HIS word for it, then there is nothing but the water table under the Sphinx and we should ignore such “myths” and “pyramidiots”. Now, given the fact that Zahi does not wish any other view point, other than his own, to be known about ancient Egypt; he would be highly motivated to keep such information secret, buried, destroyed or removed. I dare you to research Zahi Hawass, you will discover that he is definitely hindering forward progress in Egypt under the guise of preserving history. He contradicts himself time and time again, which is the hallmark of very bad lying. That is not to say that Zahi wasn’t doing any ‘good’ things. He certainly has, in regards to preserving the Great Pyramids and the Sphinx. In finality, we live in a time when paradigms rule. Those who do not want the responsibility of spirituality can fall back on safe, modern, paradigms provided by the scholarly masses. Those people will kill to protect their paradigm, much in the same way religious groups protect their beliefs. Some of you may have experienced amazing levels of hostility when you dare to discuss that the pyramids are anything other than what is accepted. I have matched that response to discussions I have had about my views on religion (especially Christian). They were identical. Therefore, there is something in the tune of a cult or sheep mentality where it concerns ancient history. All new information is swept away to preserve the more ignorant and safe view *cough* the Earth is flat *cough*. It too difficult to go back through and re-write everything and then try to re-teach the world that change. It’s easier to simply go one believing the lie and let future generations sort out the mess. Also, which was discussed earlier in this thread, the fact that we are so economically centric is also a strong reason for the repression of this information. It could topple certain industries like the Church, Schools, etc. If people knew they could generate fuel and electricity at home with ease, then electric companies would lose money. We are in dire straits. Unless you are rich and powerful it is near impossible to change the world at the speed that would be required. Instead, make children and teach them the truth; ask them to pass that knowledge on. At a minimum, keep the satisfaction that at least YOU know the truth and tell all who are willing to listen. Thank you so much for this rich account of your thoughts, In Light End. I endorse everything that you say. I am sure you have researched long and hard to reach your observations, as many are now doing. I agree that we must keep asking questions and not accept the stunted views of the past. Keep up the good work and feel free to share any new insights you find, here. Hi sissy817, thank you for your reply to Michael – I find it fascinating and heart warming that beautiful people like yourself have these wonderful gifts and are willing to share them. In the past many of us have kept our mouths shut for fear of ridicule or just misunderstanding, but as more emerge, more can feel free to speak openly. I, too, have had a life experiencing things similar to what you describe and there are a few possible explanations – one is that people like us have memories emerging, and a previous incarnation of great importance to remember; another is that the times we live in are such that the energy frequencies are condusive to being more psychically active.Whatever the cause and reason, I feel it is a very good thing, so thank you. Wow! Missed this comment somehow Ahia, no truer words could say it so right! There seems that there is too many people with similar thought processes on this topic and many others for it all to be coincidence. Since the advent of the internet and its growth, it has become our modern day library of Alexandria, albeit flawed and not on that plateau yet, it is indeed giving many faster access to knowledge of their fascinations and wonders. I for some strange reason a number of years ago became strangely disconnected from many around me and their almost software programmed way of thinking and petty ego’s. I still have many friends but for whatever reason I can never see things as shallow as I did and have spoken to a number of others who are fascinated by vibrations, frequency, astronomy and knowledge in it’s truest form. It must go beyond the common thread or opinion of that’s just overthinking or pseudoscience, granted there is a lot of bogus conspiracy theories online but there is a specific movement who I feel I am now almost unwittingly a member of. I see so many others with the same fascination with Egypt and pyramids all over the world of a need to prove that there must of been a global pre cataclysm civilisation with pyramids all over the globe in specific places. This movement needs to study, grow, prosper and be seen as credible. People coming up with or discovering new historical facts, breakthroughs in free clean self sustaining energy and of course exploring spirituality which I feel is not religion the way we were thought to believe, sadly that I reckon has been manipulated by man throughout the centuries, I see religious texts as something to take historical references from to an extent by comparative studies with other texts but not too far beyond that these days. I believe spirituality in it’s truest form is cosmic, a oneness, not religious. It is the knowing of consciousness and oneself and I believe consciousness is a global connection that has been perverted and lost to an extent. It is a shame someone knows more about keeping up with the Kardashians than Carl Sagan or Neil Degrasse Tyson or history, culture and origins of us. Sadly I have yet to explore my own spirituality either as I am not quite sure how and what methods to use……. any tips? Meditations? Texts? Do you believe in a hall of records in Egypt or at least the possibility of more discoveries in Egypt and the great pyramid? Also is the third eye real or myth and how do I open it? PS – I think when the Hall of Records is spoken of in regard to Egypt it is referring to lost records that will enlighten us all to the true history of Man on Earth – these texts, tablets, petroglyhs or scrolls may yet to be found in a tomb or chamber. The records are attributed to Thoth (Hermes Trismegistus) or Enoch but maybe from Atlanteans who went to Egypt. Thanks Vincent. I went to Fayyum (Fayoum) and the Wadi Rayan which is close to Hawara – a very tranquil and beautiful place (the whale-bone fossils were found nearby). I have just had a quick look at the Hawara Labyrinth and find it fascinating and so I will work on a separate post on this. Please bring anything else you find as I know many people are also searching. Archaeologists assumed they had found the remnants of the labyrinth of Egypt/Hawara, until some were not satisfied and did seismic tests which revealed they may have in fact only found the roof! The rest of course is buried by sand and a rise of the water level nearby. Experts agreed or some at least hypothesised that this find was in fact the labyrinth and have got the now difficult task of draining the water out to gain access, a lot of digging, clearing and draining but without question worth it. The only fear is excavations not getting the funding and the insides being irreparably damaged by water etc. What I have wrote is off the top of my head but i’m sure it’s accurate if not very close… google and/or Youtube may contain more by searching either Hawara or Egypts labyrinth or labyrinth of Egypt, all are the same structure/location. It existed no question, plenty of old writings on it, and it indeed more than likely has been found and needs to be excavated properly, i’m unsure of the status of the excavations at this time or if they even got off the ground. Promote interest if possible… too big to ignore, wonderful find. btw I found your blog very interesting, with lots to ponder on. Mel, the anti-christ will come with the blood of saints and the word of God on his lips. Satan wouldn’t play this game. He would want to make a mockery of Christianity. Since this has nothing to do with Christianity, you are off base. If you’re looking for Satan, might I suggest you look toward the Tea Party. Many in that camp are reinventing Jesus and the events of the bible to suit their agenda. For example, a quote from from Ted Cruz, “The Jesus I know wouldn’t give healthcare away for free.” If anyone has read a bible in the past 30 years would know the level of falsehood that represents. Now, if you don’t like the subject of this thread, say that. Because at least it would be the truth instead of “trolling” around the internet looking for a place relieve your anexiety and expel your shame. You will not find this is the place to act as God’s witness. Please keep comments on topic. Abusive and aggressive personal remarks will be removed. Might I request that both comments be removed to keep the topic pure? I think we can just move on. Peace. Bless You, Avia, for being the “True” Peace Keeper…I have silently watched and to date have been inspired at what I have seen…I guess we all have an “opinion”…it’s just some have a hard time “knowing” where and when to keep “IT” to themselves…again…Avia…Thanx for “guiding us thru…. Thank you for your kind words, Donald. I know emotions can run high but we are all jogging along the same path to an enriched understanding of this world. I welcome friendly sharing. Thanks for your support. Avia. Jae, the word ‘Khem’ refers to the land of Egypt, the dark rich soil after the Inundation of the Nile. This wasn’t my interpretation but the teaching of a man whose heritage goes back a long long way in Khem, or Egypt. I don’t know if Hakim ever considered human people as being a certain colour, but he considered all humans members of the human family. As far as I know, he, nor I, have any preference or prejudice for any person. I hope this makes things more clear for you. Love and Peace to All. I am a hungarian architect, who speaks english very bed! I find some interesting facts in Giza, what makes it a “time keeper” of the old area. If You are interested in it , please send me an e-mail to get more of my discoveries! The Khufu makes the year for four parts with the position of the small pyramids. (as I told You some years ago) Khefren is the twice 6-6 months of the year! The Menkaure is the 52 x 14 days with the three small pyramids for the two years! “Khufu hidden calendar” “Menkaure hidden calendar” “Nabta Playa Giza” “Khufu pyramid size” on youtube! Are there photos to augment the expanded literature of Hakim? I’m quite interested in the entire scope of Hakims thoughts. Hi Errol, I do recommend the documentary, linked on the post, “The Band of Peace”, and The Khemit School of Ancient Mysticism on Facebook. Abd’el Hakim Awyan has now passed. I am so relived to know there are others like me! I have known since birth, things I could not explain to others. I am also grateful to the people who know and love me for accepting me as I am, even though they don’t guite understand. I have never been able to verbally explain what I know and am constantly gaining insight to. But I feel very blessed to be able to listen to others like me on your sight! Dear Mr. Abd’el Hakim Awyan! This week I have put a film about Giza, and the time of Giza on youtube in English. I believe it should be interesting for You and for Your readers as well. would greatly appreciate if you would take time to watch the 40 minute long film and perchance reflect on it. Hi, firstly thank you for such a well informed site on the mysteries that is egypt and it’s culture. I wanted to know if anyone can point me in the direction of a real tour of Egypt covering the 22 pyramids across the Giza plateau. I would prefer a private tour or small group. Time is not an issue and I would prefer to immerse myself in depth for about a month. I don’t want the traditional tourist tour I want to experience first hand the kind of information that is spoken of by Abd’el Hakim Awyan. 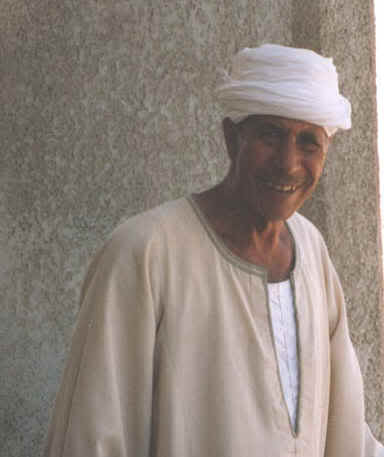 I want to experience true Egypt and learn from the ancient & elders. If anyone knows of such a person/group/place who can do this for me I would be very grateful for the information. Dear friends, I found this site while searching for any information about Mr Abdel Hakim Awyan after I watched The Pyramids Code. But, Mr Abdel Hakim passed away from this world, may he rest in peace, and I just leave here the information for everybody who is looking to reveal the secrets of Pyramids in the world, there are very unique books of Ukrainian author Anastasia Novykh: the serie of books Sensei (1,2,3,4) and the world bestseller AllatRa. That books reveal the primordial knowledge of anciant civilizations, based on spiritual knowledge, with high scientific development etc.. to download it for free in English version is possible in http://books.allatra.org/en Wish you all the best! Hello Krystal. Your birthmark is like a roadsign on your spiritual path. Follow it and explore and learn and it will take you to where you will learn more about yourself. Go without fear, just keep an open mind. I learnt very recently about Mr Abdel Hakim Awyan, watched a couple of videos (including Pyramid code) and then came across this website. Honestly, I have a problem here: all these are quite fascinating – yes, that is the problem: they are fascinating! Human mind ‘wants’ to believe what is fascinating, in preference to a more simpler but mundane explanation when one is avaialble. For example, someone says that the great pyramids of Giza were built by an alien civilisation which came from a visiting planet called Nibiru and the mind immediately ‘wants’ to believe that: so, the actual findings on site are intellectually ‘fitted’ to match with this new theory, and hundreds of explanations, videos and articles will flood the information market. I believe, that a healthy dose of skepticism is essential to sift away false fascinations. It is essential to always distinguish between what is ‘possible’ and what is ‘probable’. I have personally nothing against the information discussed in this website, nor am I fully qualified to maturely discuss them, but find that some conclusions and judgements are too fast and too soon. Have you read the EMERALD TABLETS? If not do so. You will find, if they are to be believed, that the tablets actually support the alien theory. However, by that logic, the concept that the pyramid of Giza is a tomb suffers the exact same issue. Once you research how we came to “believe” it was a tomb, the belief is rather ridiculous. The fact that academia still clings to the idea that an explorer, on the last leg of his treasure hunt , suddenly finds a poorly drawn heiroglyoh. A glyph that was later determined to have a misspelling and one Zahi Hawass corrected on 2005, but not after numerous photos of the original were taken. Then the recent discovery of the diary of the explorer where he admits to having his assistant draw the gkyph….should have reasonably destroyed the credibility that it was a tomb. However, nothing has changed. Skepticism doesn’t equal truth.